Colorful acrylic paintings depicting cityscapes, town, landscapes, animals, buildings, water, clouds, etc. Other art dalliance of mosaic, pastel, watercolor, marker, ink, and pencil. 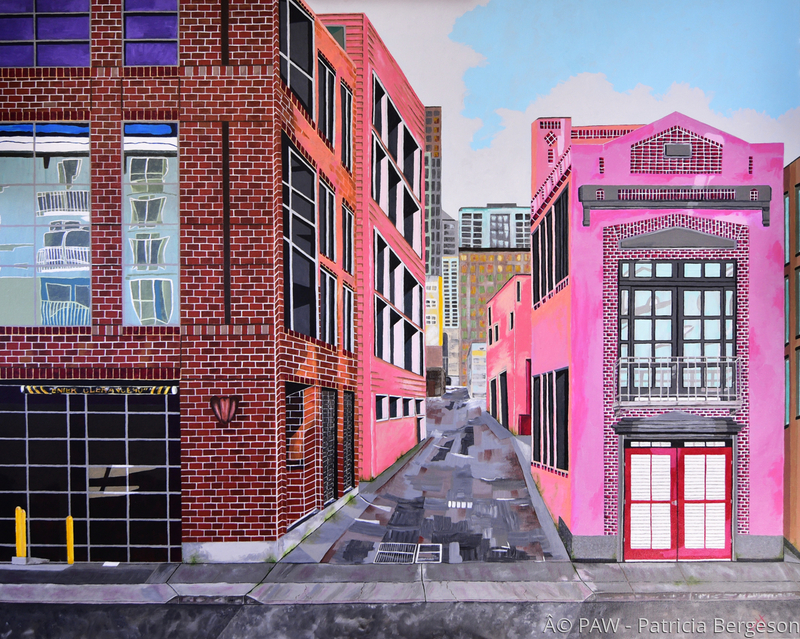 Acrylic painting of a street scene in Portland Oregan. Any direction you go in a room, the ally way will follow you . Depending on the light in the room, you can feel the people in the buildings and at the end of the ally. 14" x 17.5"16" x 20"17" x 21.25"19.25" x 24.25"